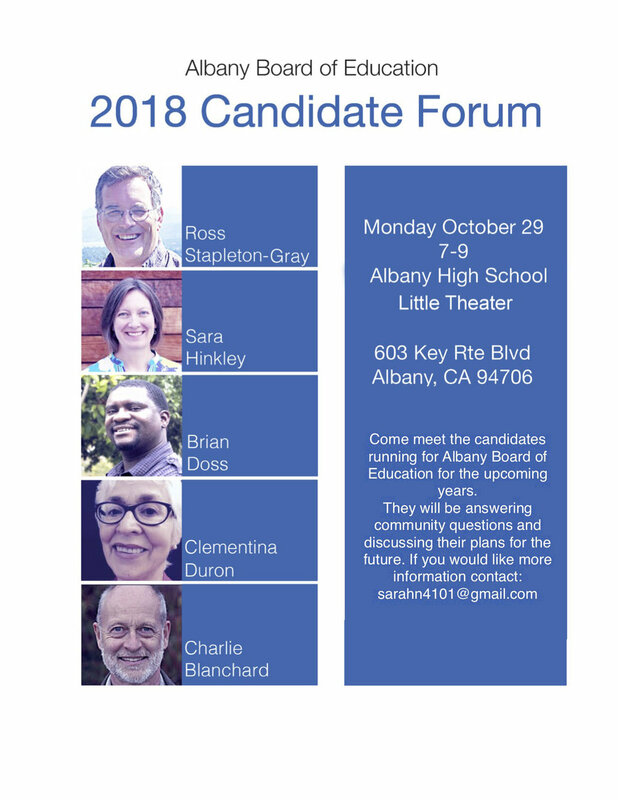 This is a reminder that the final AUSD School Board candidate forum takes place this Monday, October 29th from 7-9p in the Little Theater. Attendance was really low at the last forum. We really hope people will come out to this one and educate themselves about the candidates! *This is an updated version of the flyer we sent out last week. We apologize for the grammatical mistakes on the previous version; it was not an accurate representation of the quality of our forum.